Hello , Here is the complain of two antibodies . 12) a) How many times you have run this staining? b) Do you obtain the same results every time? 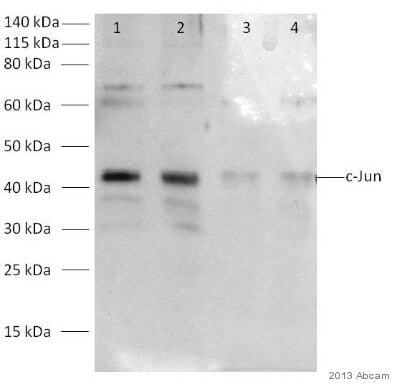 C) What steps have you altered to try and optimize the use of this antibody? Reducing blocking, primary and secondary incubation times while attempting the second time. Washing was made slightly rigorous as compared to he first time. Performed a Dot blot to check for performance of secondary antibody and it works fine. Increased amount of loaded protein to 10 μg/lane. Thank you for your enquiry regarding ab31419 and ab47476; and for taking the time to provide some useful details of the experiments. I am very sorry to hear that your customer is having problems with these two antibodies. 1) The loaded amount of protein seems to be a bit low: 5 μg/lane, normally we would suggest loading at least 25-30 μg/lane protein per lane. 2) Since c-Jun and ATF2 are both mainly present in the nuclei, it would be worth preparing nuclear fraction (rather than whole cell lysate) to enrich the target proteins in the sample if it is possible and apply them for WB. 3) Customer may also need to test different dilutions (1/500 or even 1/250) to make sure that the experiment is carried out under the optimal conditions. This is even more important since only 5 μg instead of 30 μg lysate was loaded. Thank you so very much! this is helpful, is there any information in what % of breast ca it is positive, and ductal over lobular variant? txs, I am looking forward to your response! I do wish to aplogize for the delays in getting information about this product to you. I have been informded by the originator of this product that the images are using ductal breast carcinoma however as of this time we do not have any information regarding the percentages of breat carcinoma would be positive. and in the WB I´ve used dilution 1/500. 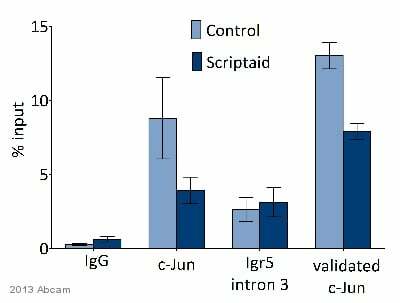 Unfortunately we do not have another C-Jun antibody that is tested in ChIP. Please let me know how you would like to proceed. 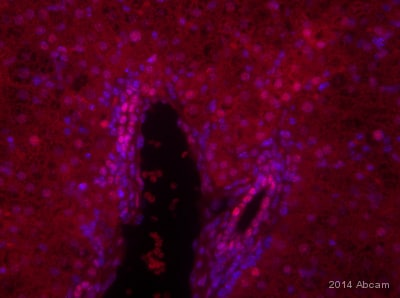 We do not currently stock a C-Fos antibody that will work in ChIP but if you would like to test an antibody then please let me know. You may be eligible for a testing discount. Thank you for your reply and with clarifying information.